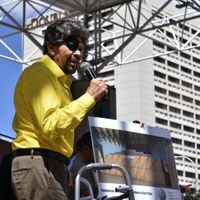 Tribute concert and unveiling of "Al Hurricane Pavilion at Civic Plaza"
On Sunday, May 7, 2017, The City of Albuquerque and Bernalillo County hosted a very special, all-star concert paying tribute to the one and only Al Hurricane, the Godfather of New Mexico music! New Mexico artists including Al Hurricane Jr, Tiny Morrie, Baby Gaby, Jerry Dean, Ernest Montoya, Darren Cordova, Erika, Matthew Martinez, Christian, Dezi Cisneros, and Fat City played. Prior to the concert, there was a USA Boxing tournament featuring amateur fighters from around the Southwest sponsored by Chavez Promotions and the South Valley Boxing Club. There was also a display of classic cars and plenty of local food. The sponsors of the event include Mayor Richard J. Berry, City Councilors Ken Sanchez, Isaac Benton and Klarissa Peña, County Commissioners Steven Michael Quezada and Debbie O’Malley, and County Sheriff Manny Gonzales. 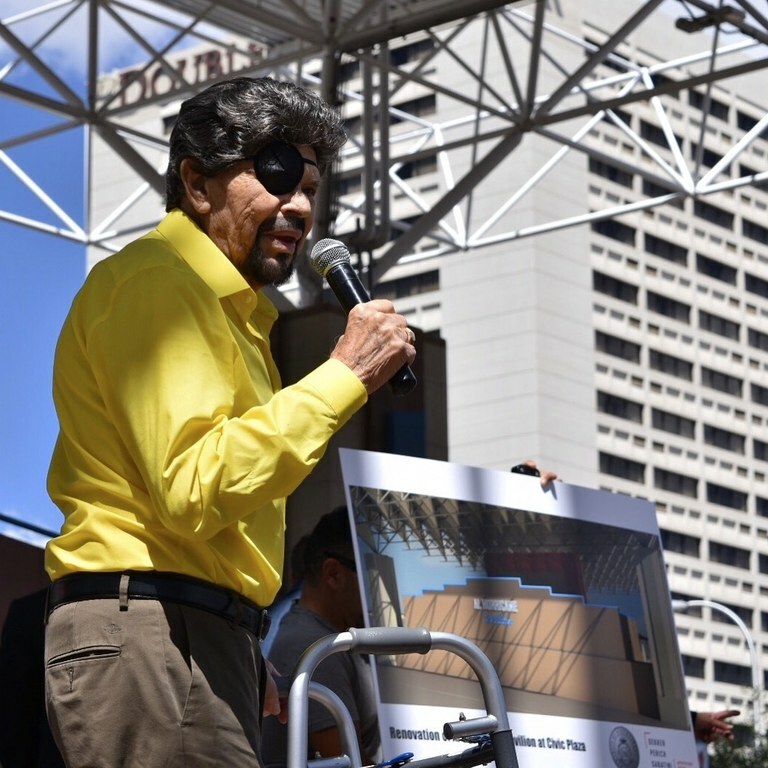 Earlier in the week, the Albuquerque City Council unanimously approved a resolution that named the stage at Civic Plaza as the “Al Hurricane Pavilion at Civic Plaza” in honor of his tremendous contributions to Albuquerque and New Mexico. Al Hurricane is a music legend who for over six decades has brought New Mexico music to audiences throughout the United States, Spain, Mexico, Argentina and Paraguay. “The Godfather” put New Mexico music on the map with a sound unique to the language and culture of the Hispano communities of New Mexico. He has performed alongside some of the greatest artists in music history, including Fats Domino, Marvin Gaye, Chuck Berry, Jimmy Clanton, and Chubby Checker.